In a recent presentation at the joint Pro Carton and PROPAK Austria marketing event in Vienna, brand consultant Prof. Dr. Karsten Kilian had the following to say about brand management. . .
specific (compared to the competition). 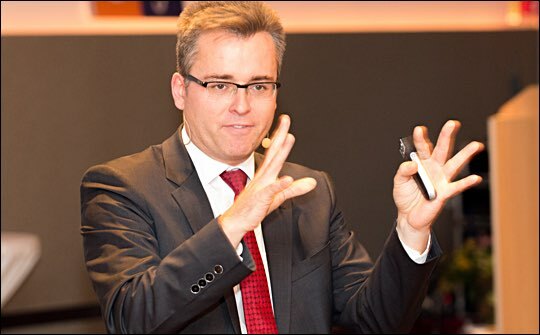 My colleagues from Wuppertal, Tobias Langner and Alexander Fischer, have defined “Motion brand actions” as “brand-specific motion procedures developed by companies to guide consumers during the consumption process of a brand.” For example, the swipe motion on mobile phones or tablets – meanwhile three-year olds are trying to copy this on TV sets. Apple even tried to have the screen protected, but without success. My colleague, Matthias Horx, once said: “Human beings are not digital. We are and will remain creatures made of flesh and blood, who orient themselves in an analogue world, the sensory world.” Packaging for products therefore has a fantastic future, in the end it gives brands that sensory profile.